Deputy Police Chief Dale Call was promoted to chief of police Tuesday. 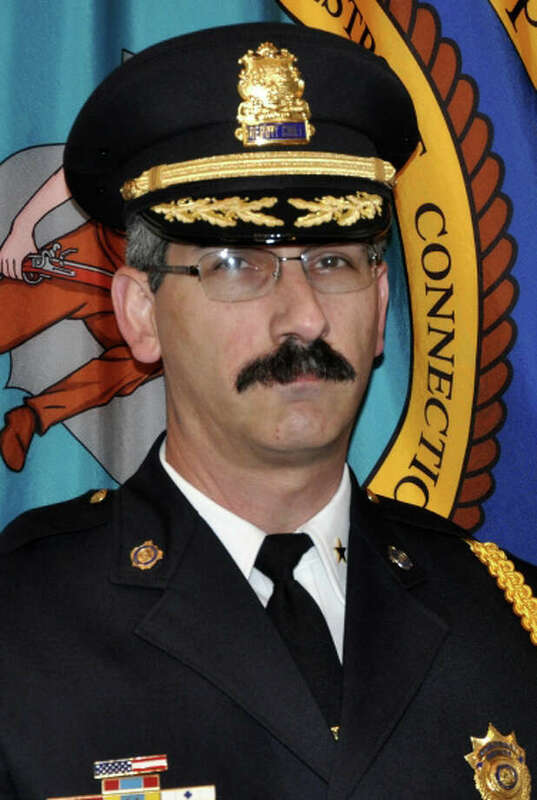 Dale E. Call, Westport's veteran deputy police chief, has been promoted to chief. Call, who has been the town's acting chief since Alfred Fiore stepped down last month, is a native Westporter who joined the town's police force in January 1984. Call will be succeeded as deputy chief by another longtime member of the local police force, Capt. Foti Koskinas. Both men will be sworn in to their new posts during a ceremony set for 3:15 p.m. Friday in Town Hall. Announcing the promotions Tuesday night, First Selectman Gordon Joseloff said : "Westport has been well served by these two officers who will lead a streamlined, modernized police force. Their promotions reflect the bench strength of the department which is constantly reinventing itself to meet the changing challenges of our community." After joining the department in January 1984, Call was promoted to sergeant in May 1993. He became an inspector in June 2001, administrative lieutenant in 2004, and detective commander in 2006 before becoming deputy chief in September 2007. His also has served as president of the Westport Police Benevolent Association, K-9 unit handler and supervisor, honor guard commander, and field training officer. A 1980 graduate of Staples High School, he holds a B.S. degree in criminal justice administration, and a M.S. in strategic leadership from Mountain State University. He is a graduate of the 233rd session of the FBI National Academy, and holds a graduate certificate in criminal justice education from the University of Virginia. He lives with his wife Suzanne, daughter Emily, and son Benjamin in Monroe. He is the son of the late Westport Police Department Inspector George E. Call and Marjorie Call. Koskinas joined the Police Department in January 1996 and was promoted to sergeant in June 2006 before becoming captain in June 2009. His experience includes serving as a K-9 handler, K-9 unit supervisor, member of the police honor guard, member of the Southwest Regional Emergency Response Team, supervisor of the Westport Police-Fire Dive Rescue Team, and various temporary assignments with the U.S. Drug Enforcement Administration. In 2009, he received the Connecticut Chiefs of Police Medal of Valor. A 1989 graduate of Staples High School, he received a B.S. in criminal justice from the University of New Haven and is currently working toward a M.S. in business administration. He attended the FBI Regional Command College this year. He lives with his wife Christina and daughters Zoe and Phoebe in Fairfield.